Switching gears, what was it like for you to work with Nintendo this time, Kondo-san? (laughs) Putting a different way, the Nintendo staff think it’s only natural to work fervently and spare no effort if a product will please the users. We adopt the user’s point of view, so that a product empathises with a lot of people. There was almost no gap with Hatena in the way they view their work. We always operated under a shared desire to do what we figured would please the users. I did have a few kick off meetings with Kondo-san, though. 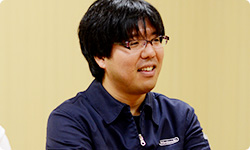 At those meetings, Kondo-san talked about Flipnote Studio. Even though he knew development wouldn’t be easy and there would be server maintenance costs involved, he would say, "Push on!" and plow ahead, passionately declaring, "We’ve got to develop it so it’s even more fun for the users!" That made quite an impression on me. That was what Hatena valued, so it was easy working with them. It does my heart glad to hear that. We always talk at the company about how we want to move the world forward by making network services. 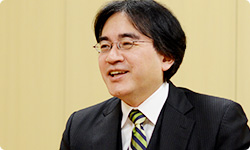 And we all love Nintendo’s games, so if we can move forward using our own strengths, that would be the most fun. But when you begin something new, I think there are people in-house who think, "My lord! Have you gone mad?" We were on the side advancing Miiverse, but I’m sure there were some people in the company who wondered if we’d lost our marbles. A lot of people must have expressed their concerns saying that maintaining it would be hard. Yes. But for the most part, people were co-operative and supported us one way or another. Even including suggestions that it should take a different form, there weren’t any opinions against moving forward. 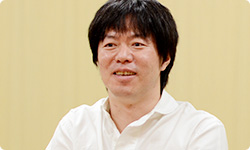 I’d like to finish up today by asking how each of you think Miiverse will change gaming, starting with you, Kondo-san. Alright. Something I thought upon seeing WaraWara Plaza on the startup screen was "Oh, the Wii has become a town!" What was once restricted to the home had expanded on the Wii U console so that people you know as well as people you don’t know swarm all over the place.In that respect, WaraWara Plaza really was surprising. I think a lot of people will simply enjoy looking at the startup screen! People will enjoy it the way that some people sit in a coffee shop gazing at the hustle and bustle. That is the startup screen because Mizuki-san and I learned that no matter what we did with Wii no Ma to prepare to welcome our guests, if the guests didn’t activate the application, they wouldn’t see anything. 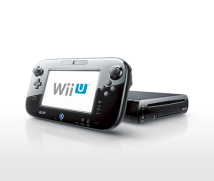 So with Miiverse, we wanted to make it so that something to happen by simply turning on Wii U. Even with Wii no Ma, people seemed to like the way the Mii characters would hang out in the living room. It soothed some people who were living away from their families to see their beloved family members together with them in the living room of Wii no Ma. But now we can show them that again, this time in a slightly different way. When it comes to socialisation, an important theme is how each amusement or type of content can take a social aspect by connecting the gaming world over the Internet. Yes. When there is a real person on the other end of the network and it’s someone who understands what you value and empathises with what you do, you wonder, "What will happen?" That’s right. I think that this is a revolutionary moment in which games by Nintendo will connect to society and spread. Essentially, games are fun but so are people, so this is for people who think, "Maybe enjoying video games together with other people will be even more fun!" I think we have made the most fun thing for those who will be going to be using Miiverse, so I hope people will enjoy the way it spreads. It’s a service that came about when a genuine video game company and a web company that loves video games came together. I think that when it comes to video games, gameplay takes precedence over language, so this could be the thing that makes the world one. But game console networks so far have been relatively language-specific, so they couldn’t easily go across borders. It’s difficult to understand when it’s in a different language. Yes. But this time you can draw comments by hand or change the expression of your Mii characters, so communication that doesn’t rely on language is possible. From the very beginning, we wanted to make it so that feelings could somehow be conveyed, so I feel even more than before that I want the people of the world to overcome language barriers and interact through video games. Alright, thank you. I think Miiverse will make it so that more people will resonate with each other – so that, for example, if someone is home playing alone, through video games he or she really won’t be alone. That, I think, will be the biggest change between how it is to play before and after Miiverse. Players will encounter people who value the same things, find more and more fun games, and hopefully someday be like, "Did this really not exist before?" But with network services the fight starts after release, so the real development has yet to begin. Let’s give it our best. Thank you for today.